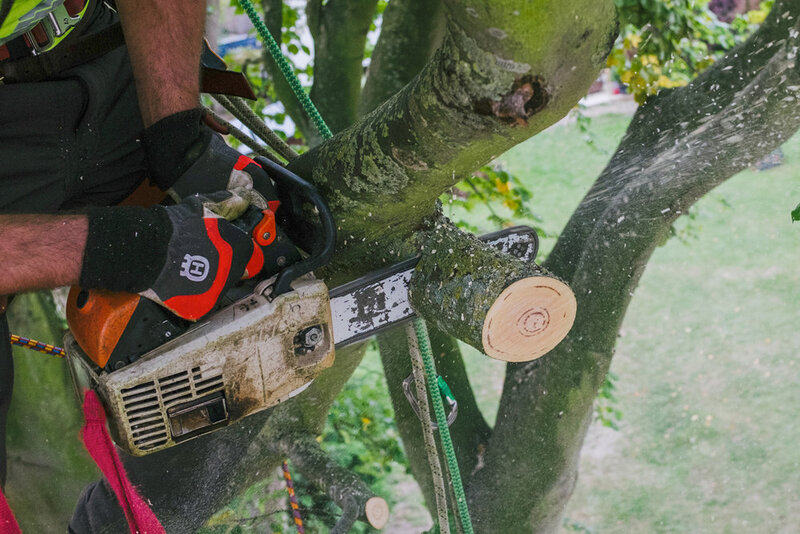 At Wilding Tree Care we pride ourselves on being able to offer a full range of arboricultural services to both private and commercial customers in a friendly and professional manner. Trees are our passion and preserving and caring for them is our priority, however we understand that a reduction in size and sometimes removal is necessary for us to live happily alongside them. We really do 'live and breathe trees'. Trees quite often outgrow their space in relation to our environment. This can cause a loss of light, loss of view, or encroachment onto or near buildings. With expert pruning we can reduce in size and reshape problematic trees, whilst causing minimum stress to the trees. Allows extra light through the tree canopy without altering the overall shape, silhouette of tree. Dead wood can pose a threat of falling from a tree, injuring persons or property. 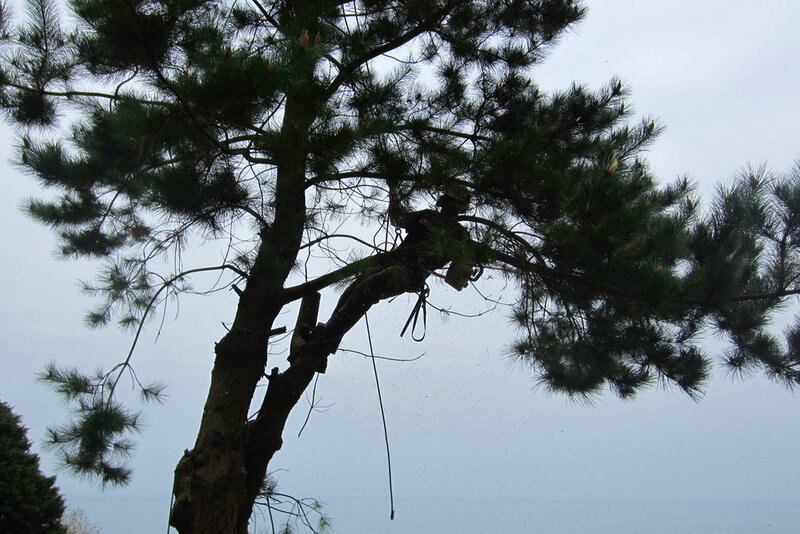 We can come and climb throughout the tree canopy removing any deadwood or dangerous branches. Removing selected lower branches from a tree can have many benefits. Including allowing more light to pass through, to allow vehicles or people to move under the tree freely. Hedges and shrubs need regular maintenance as they can soon get out of control. No matter the size of you hedges we offer a complete service to keep your hedges looking neat and tidy around your home or business. If you have trees on your property you have a duty of care to make sure your trees are safe and pose no risk to the public. 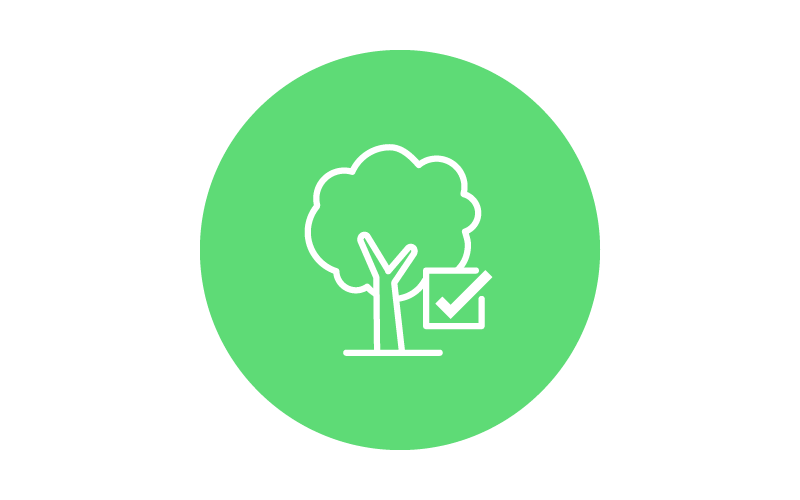 As fully qualified professional tree inspectors we offer a range of services; from friendly advice, to a climbing inspection of trees, to a full written tree 'safety' report. Our aim is to use our advanced knowledge to manage trees and tree issues in any situation from private gardens to public spaces. Our reputation is built on our expertise, appreciation of customer expectations and The quality of service which we strive to deliver from the beginning to the successful completion of each job. All our work meets the British Standard for tree work BS3998:2010. For your peace of mind we have full insurance for both public and employee liability. For friendly advice and to find a solution to your arboricultural needs get in touch to arrange a free quote. "I cannot recommend John and the team at Wilding Tree Care enough! From start to finish, they were professional and knew their stuff. We have a very large Oak tree in our garden and John carried out a Crown Reduction as well as pruning back some of our smaller trees. The difference it has made is astounding and we have gained so much more natural light! We will definitely be having the team back every year, to attend to our trees. Competitive price, too! " "My two beech trees which carry TPOs are a focal point when approaching my village. They have been reduced & crowned into such a beautiful shape that it's been commented on by all. The men were polite, friendly and worked so hard & conscientiously, to top it all good with dogs too! Cannot recommend highly enough." "Wilding Tree Care came to reduce the height of some large Sycamores and conifers bordering our garden. They were friendly and professional and went the extra mile to give a fantastic service. We were also impressed with the way they cleaned up the site after the job as well as being very competitive on price...in fact one of the best value quotes we received. We wouldn't hesitate in recommending Wilding Tree Care to anyone requiring any type of Tree work." For friendly advice and to find a solution to your arboricultural needs please contact John on 01273 232604 / 07860 348618 / wildingtreecare@hotmail.com or get in touch using the form below to arrange a free quote.